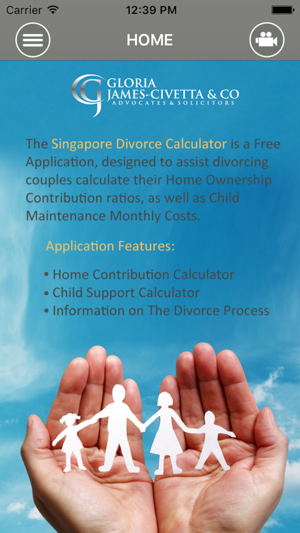 The Singapore Divorce Calculator is an application designed to assist divorcing couples or individuals who are considering divorcing. 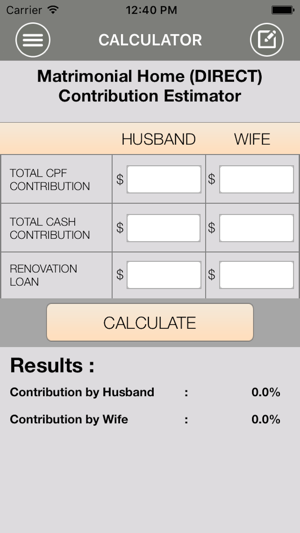 It allows you to calculate the percentage of (direct) contribution on your marital home. 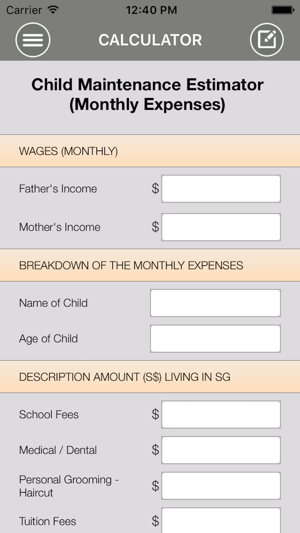 It also assists in calculating your Monthly Child Maintenance costs breakdown, based on the couple`s income. 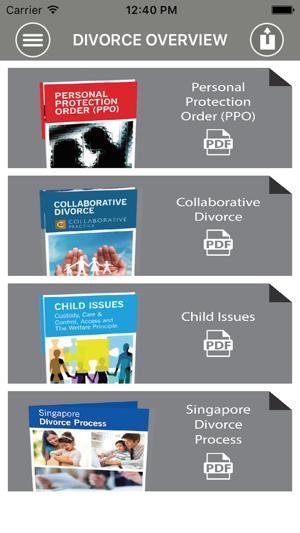 The app contains over 50 articles providing divorce information, process and frequently asked questions. 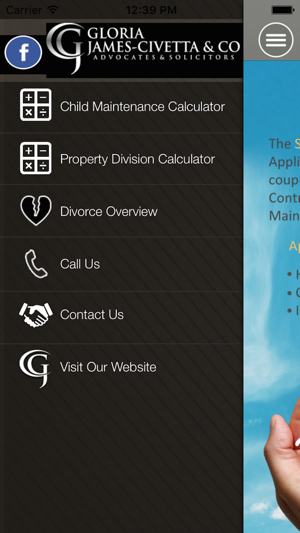 - Information on The Divorce Process. Developed for Gloria James-Civetta & Co by Brainpulse Technologies Pvt. Ltd. 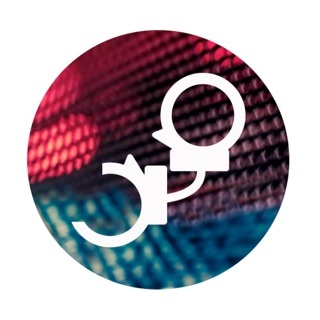 Improve performance and resolve major bugs.